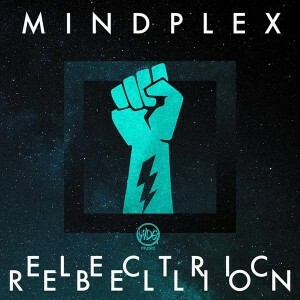 Mindplex strikes back with Electric Rebellion! Almost two years after Prog Riot was released on Panzar Produktionz, they return to WDG-Music with four tracks, each one more groovy and hypnotic than the other. Their new sound is an exciting mixture of swiftly rolling bass lines and joyous melodic vibes paired with modern and electric effects. The Electric Rebellion starts now! Mastered by Robert Hundt/Radioactive.Cake at Anti-Logic, Berlin, with artwork by Die Jungs, Oldenburg. MP3 Download | FLAC Download | WAV Download · Download count: 9,470. In prog we trust <3 all 4 tracks are great, good job man ! The production on this is lovely. I really dig the synths and basslines. The 1st track was great. I thought the long Krystal Cole / Neurosoup sample in track 2 was grating, why do we need a lengthy (1:20) description of what a psychedelic trip basically is? Is the idea to hand-hold new users through their first trips? I would think it’s incredibly redundant info for most people. This EP nails prog from my point of view ! Great work ! Ultron is very nice track. In my ears it’s ultimate piece of art. Thank you!!! LOVE IT! Drop at minute 5:00 is badass! Great stuff. Nice basslline just beautiful compositions!